Timing belts control your engine's valves. This belt wears down with age, and this causes your engine to become unsynchronized with itself. If this happens, different parts of your engine can misfire, hitting each other, creating damage that is extremely expensive to fix. 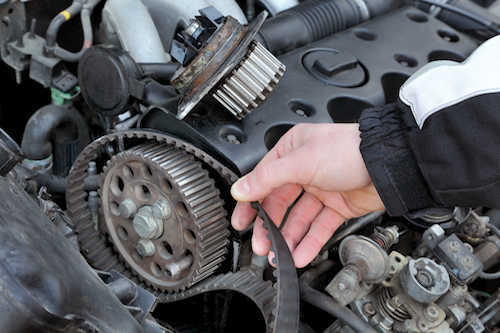 Don't risk the possibility of total engine failure, come in and get your timing belt fixed today.